Main Informations: How to make Pazham pori ? It is all about technical tips, social information, traveling information, cultural information, political information, religious information, sport information, science and health information. 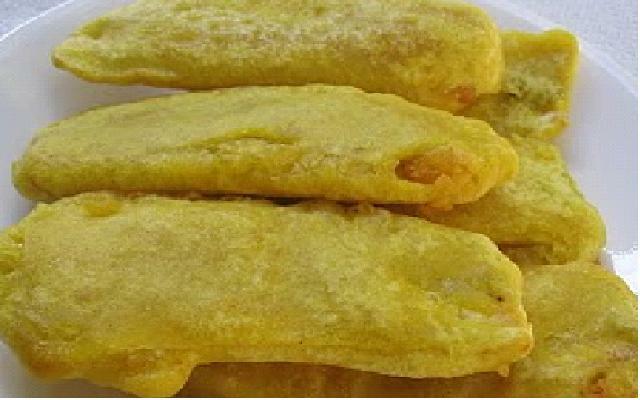 How to make Pazham pori ? Turmeric - a tiny pinch. Peel the banana and cut in the middle horizontally. Then proceed to cut vertically into think strips. Take the flour, sugar and cooking soda in a bowl, mix well. Then slowly add the water to get a thick batter. Whisk it well so that it rises up. You wont actually see the rise but you can see froth coming out during whisking. Heat Pan with oil. When it is hot, dip the banana strips into the batter on both sides and gently drop into the hot oil. If the banana/plantain is over ripe, it will slip very badly, so got to hold it tight! Once it turns lightly golden flip to the other side. When done, remove on a kitchen towel to drain excess oil. How to arrange data in alphabetical order in Microsoft Word ? How to improve your iPhone 3G battery life? How to upgrade the New Facebook Fanpages layout? How to change the default open folder when Outlook start-up? How to open personal folder at Outlook ( 2010 or 2007) startup? How to add Speed Dial on your iPhone? How to delete your blog ? How to controll over weight through Ayurveda? How to reduce hair lose through Ayurveda? How to maintain good health ? Polycystic Ovary Disease Syndrome (PCOS) Ayurveda Treatment? How to make Poha Chiwda? How to make Bhel Puri? How to make Potato-Banana Cutlets?